Most of the Cambodians dress up casually except, when they are attending formal events. 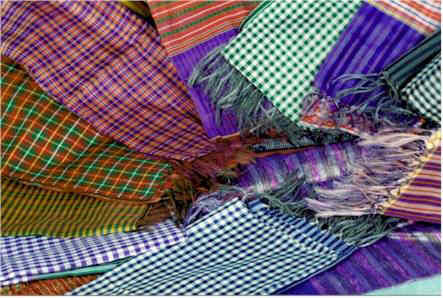 It is common to see men and women using Krama, a Long, Narrow checked cotton cloth round their neck. 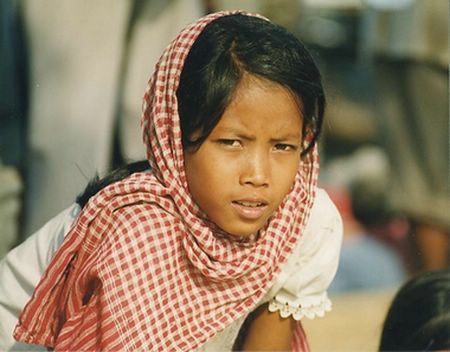 Also they use the krama for carrying a baby, a hat to keep sun off your head, a cushion ones head to carry trays or heavy items, sling to carry goods in front or back of body, dress, shirt, skirt, apron, shorts, play games, hammock between 2 chairs, cover pillows, etc. Cambodia is hot all year round, so it is unnecessary to bring a lot of heavy clothes. Lightweight, loose-fitting, cotton clothing is recommended and long-sleeved items should be included for protection from mosquitoes and the sun. During the monsoon season things get pretty wet, so do remember to bring along some lightweight protection against the rain. An umbrella is more convenient than a rain coat. A strong pair of shoes is essential if you are visiting the temples at Angkor. You will find yourself doing a lot of clambering about. A hat is also recommended when visiting Angkor: much of the site is exposed, and it is amazing how quickly you can feel debilitated without something covering your head. When visiting temples and mosques men and women should dress appropriately: no skimpy clothing. Knee-length shorts are acceptable, but running shorts are not. 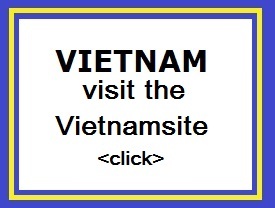 To visit one of Phnom Penh or Siem Reap�s more exclusive restaurants you will require reasonably smart clothes. If you do forget anything you believe is essential you will almost certainly be able to pick it up in Phnom Penh at one of the many very good markets.